There are well over a hundred individual aroma compounds in wine that interact with each other to create thousands of potential smells. 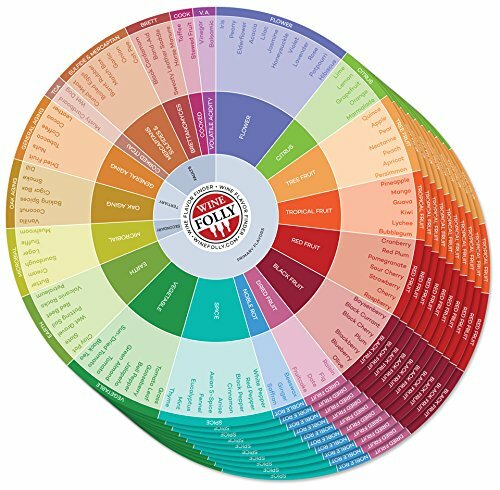 Use the flavor wheel while tasting to quickly identify different flavors in wine. The backside of the circle chart is more advanced and includes over a dozen common impact aromas. Impact aromas indicate specific compounds that are associated with specific varieties. These compounds are useful in blind tasting. If you have any questions about this product by Wine Folly, contact us by completing and submitting the form below. If you are looking for a specif part number, please include it with your message.